Lamy: Neon Lime? Neon Safari? 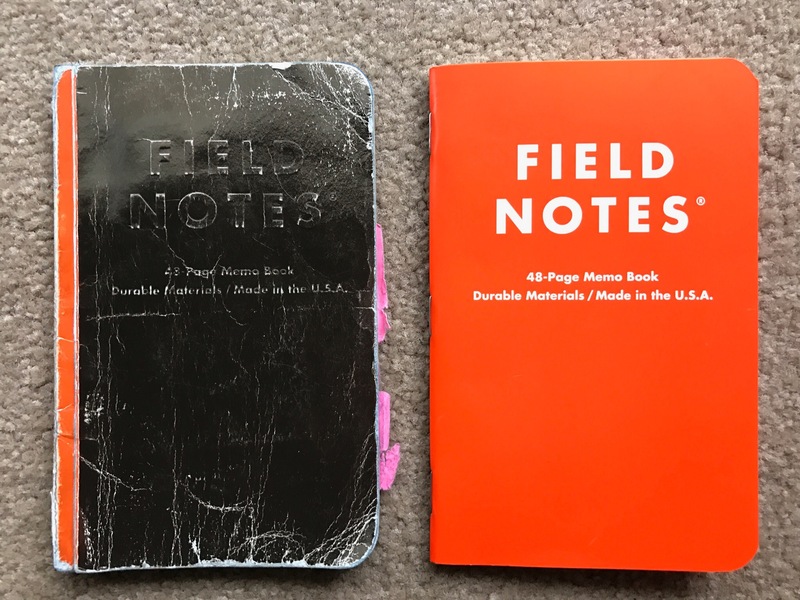 I re-newed my Field Notes subscription going back a few weeks. I just love collecting Field Notes. 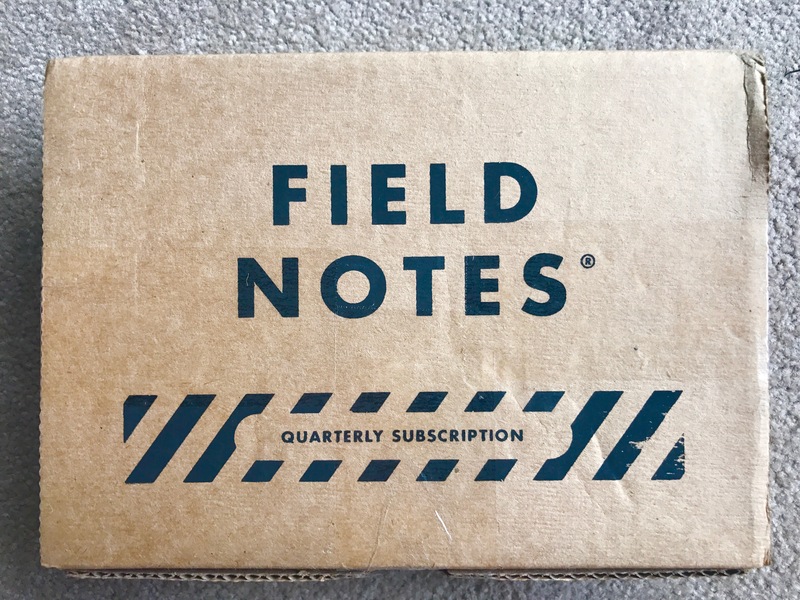 Like many others who read this, I too have a stack of Field Notes now, more so than I probably need or will ever use, but, I have started a collection and I will feel weird to stop. So I renewed my subscription to continue for another year of collecting these great notebooks. I also enjoy the feeling of receiving a package in the mail every so often throughout the year. It is always a surprise. 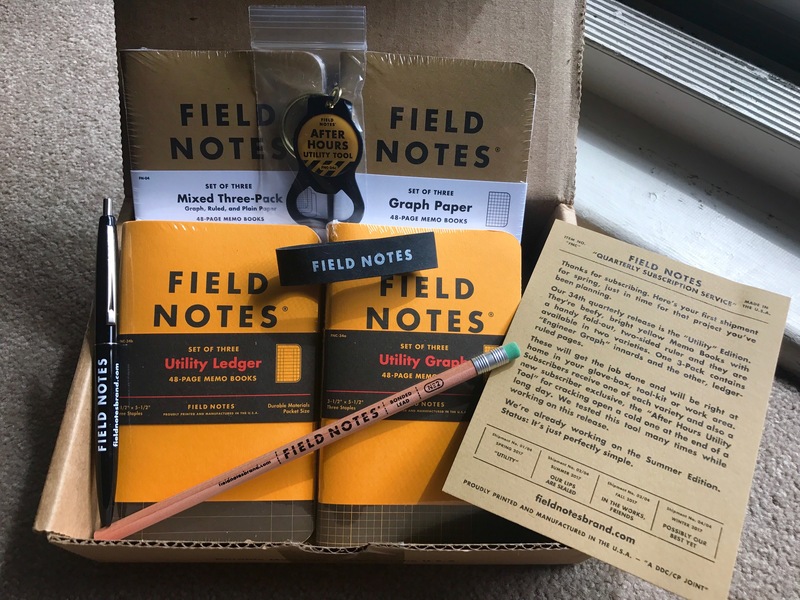 And this time around I was surprised by the new packaging the Field Notes subscription came in! The raw feeling of the cardboard is nice. Why doesnt the ruler fold over the pages like a bookmark? Nice sending one pack of each a ledger and a graph. I have finally started using my Field Notes as my catch all notebooks that I keep in my pocket now when I am at work. They fit nicely in my back pocket and age well in there too. I finished one of my Black Ice editions the other week and due to the weather here in Sydney (rain every day) I switched it out to Expedition to withstand the water that leaks through my backpack. It has also been a great little show off item at work watching people trying to rip the pages or wet my notebook. I really love the look of how the Black Ice edition has worn. 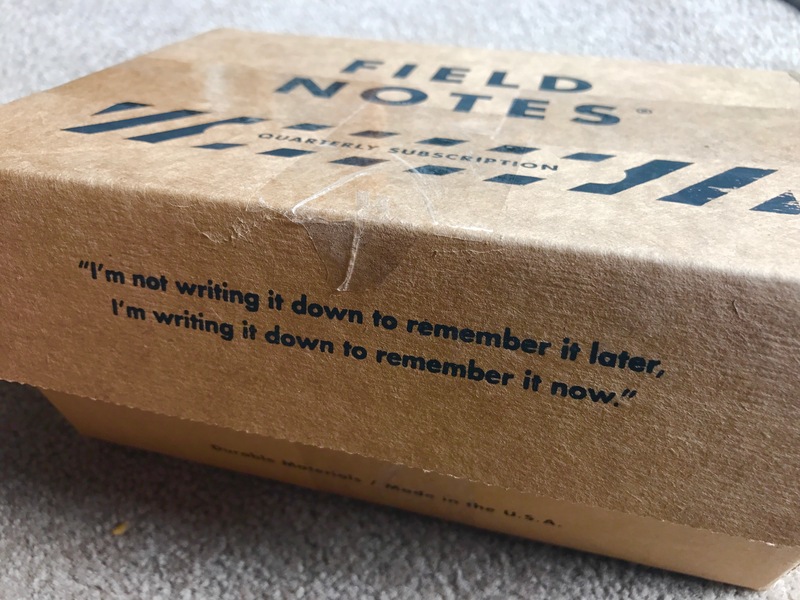 Being my first Field Notes that I have just let be in my pocket, I am now excited to see how the other editions will wear! I can already see the fading/scuffing of the Expedition edition and am amazed how well the cover is keeping up in my pocket.